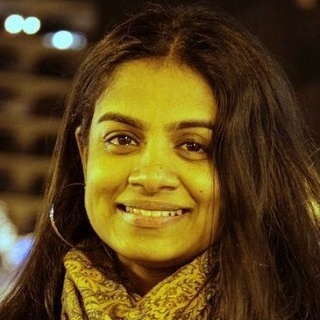 Editor’s Note: Shivani Rao is a Senior Applied Researcher on the LinkedIn Learning Relevance team, where she works on applications of recommendation systems to online learning. She recently spoke at the RE•WORK Women in Machine Intelligence Dinner in San Francisco on the topic of micro-learning and other emerging trends in applied AI in the field of online education. What follows is a summary of her talk at the event. In a knowledge economy, lifelong learning becomes inevitable for students and professionals. While students seek external resources to bridge the skills-gap between formal education and the needs of a job market, professionals need to continually learn new skills and sharpen their existing skills in order to stay relevant in an evolving job market. In order to meet this demand, online learning applications have gained popularity in recent years. A plethora of online learning products such as Coursera, LinkedIn Learning, and Udacity, to name a few, have enabled people all over the world to learn remotely. The data collected through these technologies presents a golden opportunity to develop data-driven methods to improve education. As a result, research in the field of Educational Data Mining has grown with yearly, as evidenced by conferences like Educational Data Mining (began in 2008), Learning@Scale (began in 2013), and Learning Analytics and Knowledge (began in 2011) to name a few. We can now study the impact of online learning platforms on lifelong learners, including those from non-traditional backgrounds, or investigate approaches to measuring learning efficacy in an online setting. With the increased adoption of mobile learning, a new trend in online learner behavior has emerged: learners are now seeking micro-content to micro-learn. In this context, micro-learning means short-term and informal learning activities where a learner seeks knowledge to solve a problem on the job. Detecting and delivering micro-content (e.g., videos) from a course catalog becomes important in this context, as it helps learners engage with a learning platform for quick learning on a need-to-know basis. For the learning provider, detecting and delivering micro-content will aid in improving engagement and retention of existing learners and will attract new learners by showcasing the relevant portion of the catalog. Most online learning platforms organize their content in terms of courses, where each course is comprised of several videos and each video (along with the transcripts) represents a unit of micro-content. With millions of videos available, it can get easily overwhelming for a learner. One way to narrow down the videos a learner would like is to recommend videos that teach skills a learner is interested in. In the LinkedIn Learning context, this translates to leveraging the raw transcripts from videos to classify (via machine learning techniques) whether or not a specific skill is taught by a given course. For those that are interested, past blog posts have discussed the process that LinkedIn uses for mapping skills and serving recommendations to individual members in detail. While courses are tagged with associated skills, such mapping does not yet exist for videos. Besides, course-level tagged skills are limited and often incomplete. This is not a new problem in the industry setting, where getting enough labeled data always results in a bottleneck. Some of the techniques that have been developed to circumvent this problem in the area of machine learning include active learning, semi-supervised learning, and transfer learning. In the field of deep learning, unsupervised pre-training has been used as proven technique to improve performance of classification tasks, especially in the context of transfer learning and semi-supervised learning. The work done by the Learning Relevance team is inspired by all of these contributions and stands to show how they can be applied to solve a data problem in the industrial setting. To learn more about this work, visit the NIPS Workshop (on Learning with Limited Labeled Data) research paper presented on Dec 7, 2017.